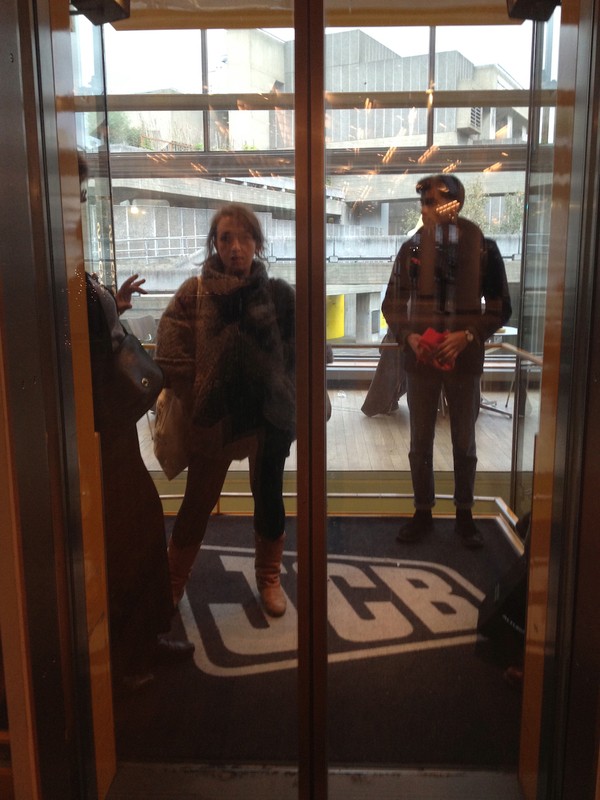 So what makes a journey in the lift a regular feature of my visits to the Festival Hall? Surprisingly, it’s not just that I am quite lazy. No, oddly enough, it’s all about the music. Or, to be more accurate, the singing. Now admittedly, music in lifts is usually an annoyance and certainly not something I’ll go out of my way to listen to. But as with all things, there are exceptions. Well, an exception that I know of first hand – this one – though I understand there is at least one with the same exception – at Ikon Gallery in Birmingham – which justifies the plural even if no other lifts anywhere have even vaguely acceptable music. The appeal of the lift is that it is the London home to Martin Creed’s Work No. 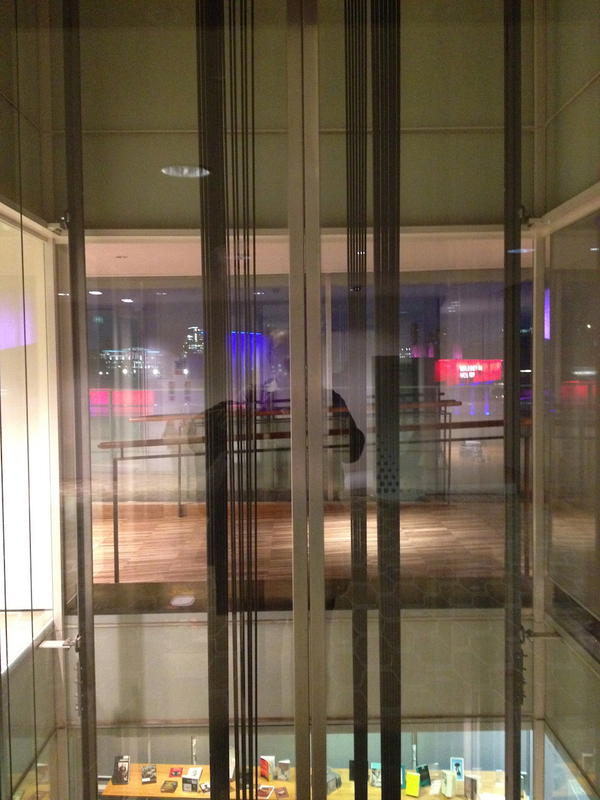 409: Piece for Choir and Elevator (2005, installed in RFH in 2010). As the lift ascends the choir goes up through the scales, singing the floor number on arrival. A through journey to the sixth floor is the best way to experience this – though there are no bad ways – with the choir singing level six so high it’s barely audible. Come back down and the pitch returns to something less extreme, until one feels grounded by the normality of the pitch that sings of level one. 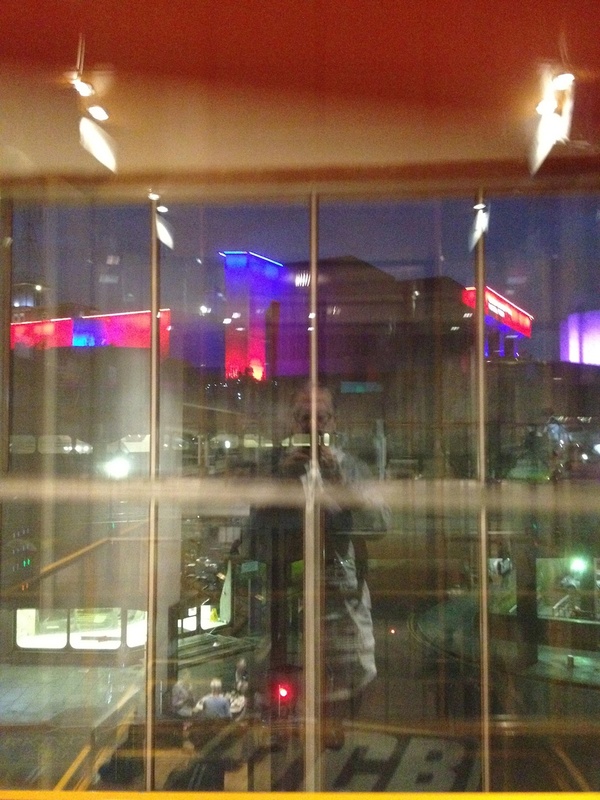 This entry was posted in Public Art, Sound and tagged art, lift music, Martin Creed, public art, sound, sound art, Work No. 409, Work No. 409 (Piece for choir and elevator) by Ann Jones. Bookmark the permalink. Have to check this out! Thanks.